FREE DELIVERY! Gorgeous Roses! Unbeatable prices! Do you know anyone that would like a fresh premium bouquet of roses every month? 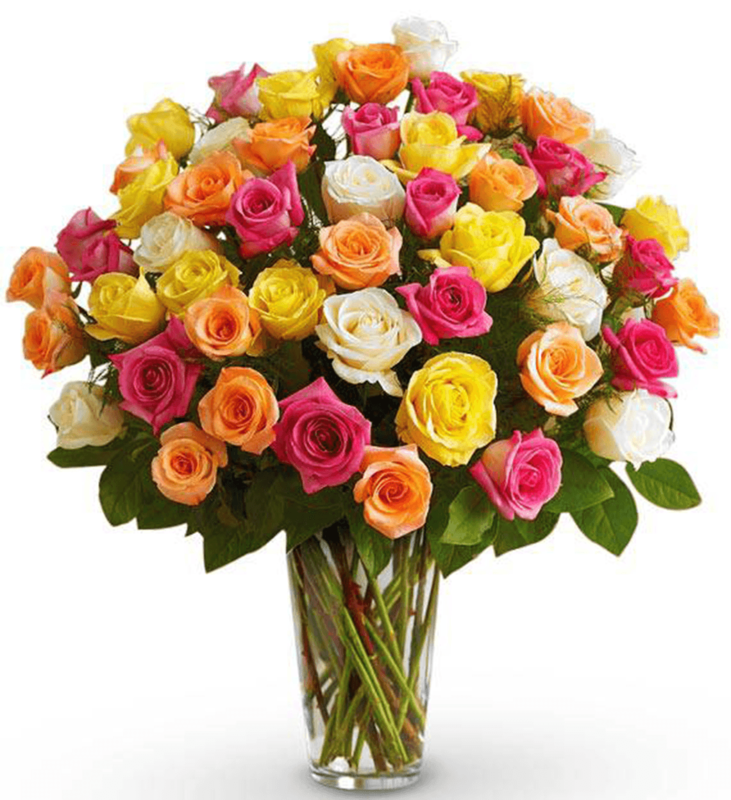 Wow your recipient and get one dozen assorted roses delivered to the home or office. Each beautiful bouquet ships directly from our farm-fresh facility in a custom floral box. Give the gift that keeps on giving! The more months you order, the more you'll save, and the more you'll be appreciated! Free Delivery-Not gonna beat this price! Add water daily to ensure your rose arrangement stays fresh and display the flowers in a cool location away from direct sunlight. Remove all foliage below the waterline in the vase and recut the stems underwater with a sharp knife then replace them back into the vase with the floral preservative provided with the arrangement. Should the roses wilt, submerge the entire flower and stem in a bowl of warm water and cut two inches off the stem. Leave the roses in the water for about two hours.